But as unique as the G9 is for Panasonic, it is also derivative. It appropriates the best aspects of its competition: The comfort and ergonomics of a Canon EOS 80D, the perfectly placed power switch and AF joystick of a Nikon D500, the high resolution mode of the Olympus E-M1 Mark II, and the powerful 4K video features of Panasonic’s own cameras. It doesn’t blow away the competition outright in any one area, but few — if any — cameras have gotten so much right while sacrificing so little in the pursuit of perfection. As if woven together from threads of pure kaizen energy, nothing about this camera feels like an afterthought; all of the features and tech are refined and mature, the result of years of steady learning, observation, and iteration. It may be by evolution rather than revolution, but the G9 now shares a spot atop Panasonic’s product lineup and, quite frankly, it is damn impressive. In an age where you can throw a rock and hit a camera that’s good enough, the little things begin to matter even more. Panasonic wasn’t afraid to sweat the small stuff, and the G9 is all the better for it. This is a camera that puts usability above all else. It may not be as pretty as an Olympus OM-D, but Panasonic has dialed up its typical utilitarian design to the next level. It starts with a top LCD information panel, the likes of which have been found on high-end SLRs since even before the digital days, yet are very uncommon on mirrorless cameras. You can check and adjust exposure settings at a glance, and the red backlight makes it easy to see in dark situations. This is particularly useful when you don’t want to use the rear LCD monitor if the light from it could disturb your environment (although, the G9 does offer a red-light-only night mode for the monitor, as well). To the left of the top LCD is the G9’s other signature feature: a huge electronic viewfinder. With a 3.68-million-dot resolution and 0.83x full-frame equivalent magnification, it’s one of the largest and sharpest EVFs of any mirrorless camera. It offers a choice of refresh rates of 60 or 120 frames per second (fps), the latter of which makes it feel about as close to an optical viewfinder as an EVF can get. It’s a big step above the viewfinder on the Olympus E-M1 Mark II, which makes due with about 1.3 million fewer pixels. Few — if any — cameras have gotten so much right while sacrificing so little in the pursuit of perfection. The rear LCD monitor is both smaller and lower resolution than that of the GH5, but it offers the same amount of articulation for multi-angle shooting, including — yes — selfies. The screen also offers optional touch pad autofocus, allowing you to move the AF point by sliding your thumb on the LCD while framing a shot through the EVF. 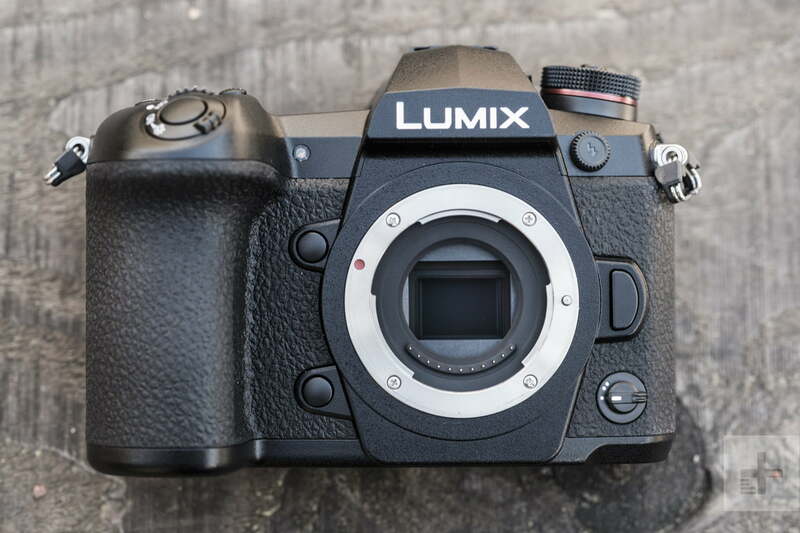 The G9 also boasts Panasonic’s best control layout yet, which is quite a bit more traditional than that employed by Olympus on the E-M1 Mark II. Time-to-shoot is as low as can possibly be, with the most critical controls all accessible by one hand. Taking a page out of Nikon’s book, the power switch encircles the shutter button and also toggles the backlight on the top LCD. 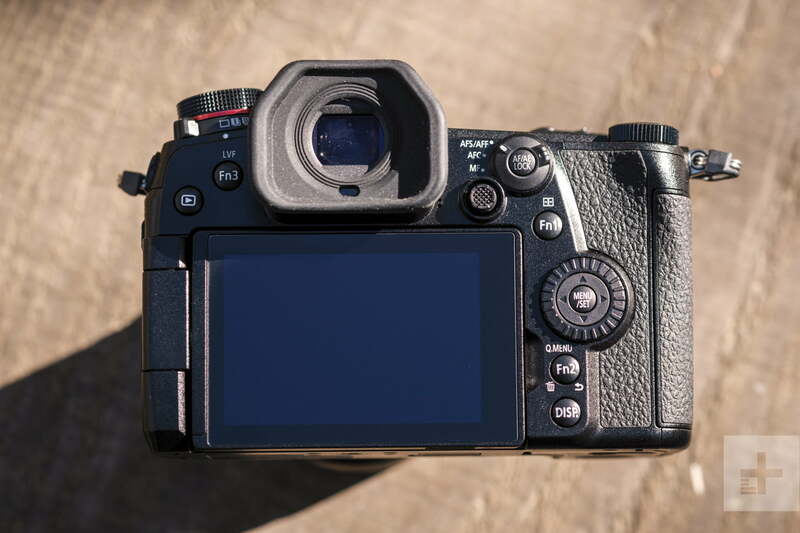 Like the GH5, dual command dials are found on the top of the camera, and autofocus controls, including an AF point selector joystick, lie just to the left of the thumb rest. The top plate also holds dedicated buttons for white balance, ISO, and exposure compensation. In additional to several programmable function buttons, there is a function lever on the front of the camera. This makes it easy to quickly lock in a secondary mode or other feature that you want to leave on semi-permanently, like silent shooting, touch pad AF, or mode dial locks. The shutter button itself acts like a hair trigger; it takes a very light touch to snap a picture. The button continues to travel a good distance after the shutter is tripped, which takes some getting used to. Don’t be surprised to find yourself firing off exposures by accident when you first handle this camera. 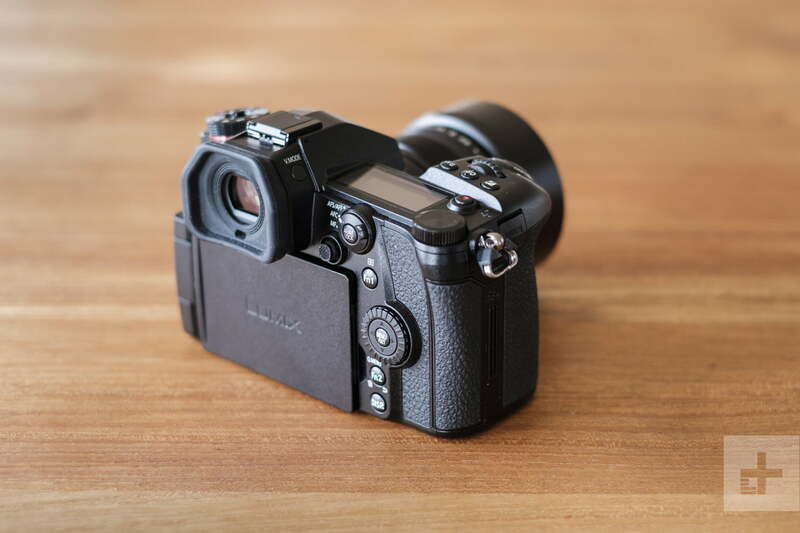 The grip is the largest of any Micro Four Thirds camera yet, but it is also the most comfortable. Combined with the big viewfinder, the G9 is altogether not much smaller than an enthusiast-level DSLR, but it feels great in the hand. It is also heavier than the E-M1 Mark II by about 4 ounces (but, still a bit lighter than the GH5). Twin UHS-II SD card slots are found on the right, while full-size HDMI and USB 3.1 ports are on the left. The camera offers clean 4K output over HDMI, and the USB port serves for both data transfer and charging (a standalone battery charger is also included in the box). The G9 inherits the 20-megapixel Micro Four Thirds sensor from the GH5, but the five-axis stabilization system has been tuned for better performance. When combined with a stabilized Panasonic lens, it offers up to 6.5 stops of shake reduction, allowing for much slower shutter speeds than what would normally be required for a sharp shot. Even without a stabilized lens, the in-body stabilization works very well in both photo and video modes. But that sensor-shift technology is also used for something else: A multi-shot high-resolution mode, a first for a Panasonic camera. If there was one objective advantage Olympus had maintained over Panasonic until now, this was it. The high-resolution mode takes eight exposures, shifting the sensor by half a pixel’s width each time, then combines the exposures into one, 80-megapixel RAW or JPEG file. Results from this mode demonstrate incredibly rich details, but we also noticed less noise and more accurate color in some situations. High-res mode does have some limitations. It requires a tripod, and any motion in the scene will be blurred. Also, maximum ISO is restricted to 1,600 (compared to 25,600 in single-shot mode). Although, this likely won’t be a problem given the mode’s intended use for tripod-mounted shots, where a slower speed is a more acceptable option. Standard, non-multi-shot photos are what we’ve come to expect from other cameras that use this sensor. Detail, color, and dynamic range are all good, but the smaller Four Thirds sensor still can’t hold up against larger formats, particularly when it comes to high ISO shooting. That said, we did capture pictures up to ISO 3,200 with noise levels that were certainly within acceptable range. Using the mechanical shutter, the G9 can shoot at up to 12 fps, or nine with continuous autofocus. With the electronic shutter, those numbers jump to 60 and 20, respectively, and — as we saw first on the Olympus E-M1 Mark II — there is also a pre-shot mode that continuously buffers about half a second of frames before the shutter button is pressed. This helps ensure that even when you miss the moment, you won’t actually miss the moment. However, there are a couple of limitations to how the G9 handles continuous shooting, both with the mechanical and electronic shutters. The G9 also has a pre-shot mode that continuously buffers about half a second of frames before the shutter button is pressed. The aperture setting of the lens can limit the burst rate. Wide-open, we had no trouble achieving the maximum rate, but we saw performance dip from 12 to about 8 fps when we stopped the lens down halfway. We reached out to Panasonic, which confirmed this is expected behavior for its MFT cameras, stating the need for the aperture to open and close between frames to perform focus and exposure calculations. However, even with focus and exposure set to manual, the slowdown still occurs. While this isn’t necessarily limited to Panasonic, we haven’t seen this effect expressed so strongly in other brands. Interestingly, the electronic shutter does not suffer the same aperture limitations as the mechanical shutter. Even with continuous AF engaged, the aperture remains stopped down throughout the burst sequence — just like it would in video mode — instead of opening and closing between each frame. But, as with other cameras that offer the feature, the electronic shutter risks incurring rolling shutter distortion, which will be worse with faster moving subjects or when panning quickly — exactly the types of situations when you might want the fastest burst rates. All of this means that, despite the seemingly impressive numbers, we can’t really recommend the G9 as a true sports camera, but it certainly has the speed to handle the occasional action sequence. As for autofocus, the G9 uses the same 225-point Depth from Defocus (DFD) system as the GH5. DFD is Panasonic’s alternative to on-chip phase-detection, which is now used by just about every other mirrorless camera manufacturer. It works well and is very fast in single-shot mode, and is actually still decent in continuous and tracking modes — if not quite up to par with the dedicated phase-detect AF of a DSLR. Also carried over from the GH5 are the 6K and 4K Photo modes, letting you capture virtually unlimited bursts of either 18 or 8MP images. 6K photos can be taken at up to 30 fps, while 4K photos can be shot at 60 fps. And yes, that means the G9 can also shoot 4K video at 60 fps, just like the GH5. That’s where the high-end video similarities end, however. The G9 does not get the high-bitrate, 4:2:2, 10-bit video of the GH5, nor does it have the option to install the V-Log L profile for increased dynamic range. Still, the G9 has both microphone and headphone jacks, Cinelike-D and Cinelike-V color profiles, and unlimited record time (the camera will shut down if it overheats, however). And thanks to the five-axis stabilization, it’s possible to get smooth handheld shots without much trouble. This may be no big deal for Panasonic, but for any other manufacturer, such video specifications would be commendable. So while pro videographers still have reason to go with the GH5, the majority of hybrid photographers will likely be very happy with the G9. Panasonic offers a one-year warranty on all Lumix cameras. It may be derivative, but the G9 is nonetheless a masterpiece. If good artists borrow and great artists steal, then Panasonic now finds itself on the camera industry’s most wanted list. This is one of the most impressive cameras we have ever tested, even more so coming from a company that’s taken so long to build it. No, it’s not perfect — the odd burst rate limitations left us scratching our heads — but it is still the most well-rounded and complete mirrorless camera that Panasonic has ever made. Going into this review, we really weren’t sure that Panasonic would have anything to offer that Olympus hadn’t already shown us, but we were wrong. The Lumix G9 might just be the best Micro Four Thirds camera currently available — save the GH5/GH5S for pro video users — thanks to a fantastic control layout, great feature set, and all around solid performance. It imitates more than it innovates, but it turns out that if you borrow the right ingredients from the right sources, you still end up with a recipe for success. We still have to give credit to Olympus and the E-M1 Mark II for doing most of what the G9 does, and doing it a year earlier in a smaller, lighter package. But the G9 has better ergonomics, a more usable control layout, a much better viewfinder, and a more robust video mode. At $1,700, it is $300 cheaper than Panasonic’s own GH5 (and the original price of the E-M1 Mark II, although that camera is currently also selling at $1,700 thanks to a $300 instant rebate at the time of writing). The G9 is not a small camera, so it doesn’t come with the same space and weight savings often associated with the MFT system. For that reason, it makes it a bit easier to look toward something like the Nikon D500, Fujifilm X-T2, or Sony A6500 — all of which offer larger APS-C sensors. None of those cameras can quite match the G9 on features, but if you’re a stickler for image quality, they will give you the edge (the D500, in particular, would also be a better choice for action/sports photography). This camera is built incredibly well and offers a wealth of functions that you’ll likely grow into for some time. It is weather sealed and certainly made to last, but with the E-M1 Mark II already over a year old, all eyes are on Olympus to see if they can continue this game of one-upmanship. Still, the G9 probably has at least another year on top. Yes. 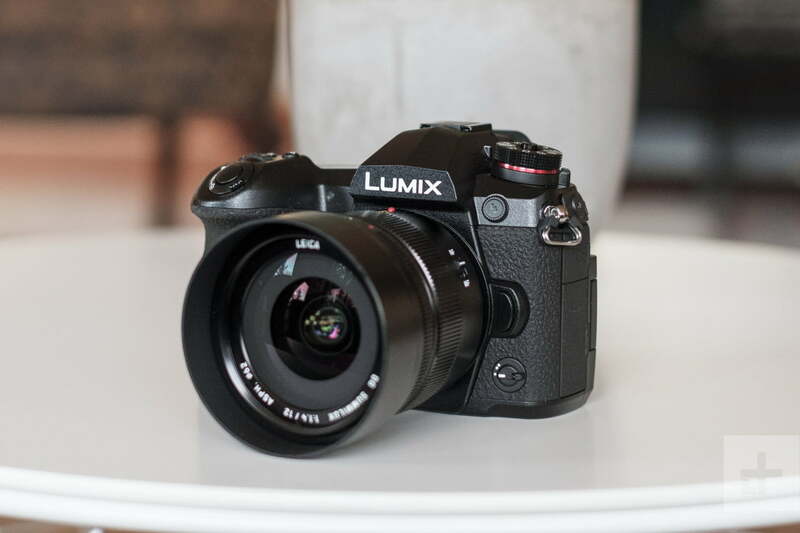 The Lumix G9 is a fantastic camera, and a significant accomplishment for Panasonic.